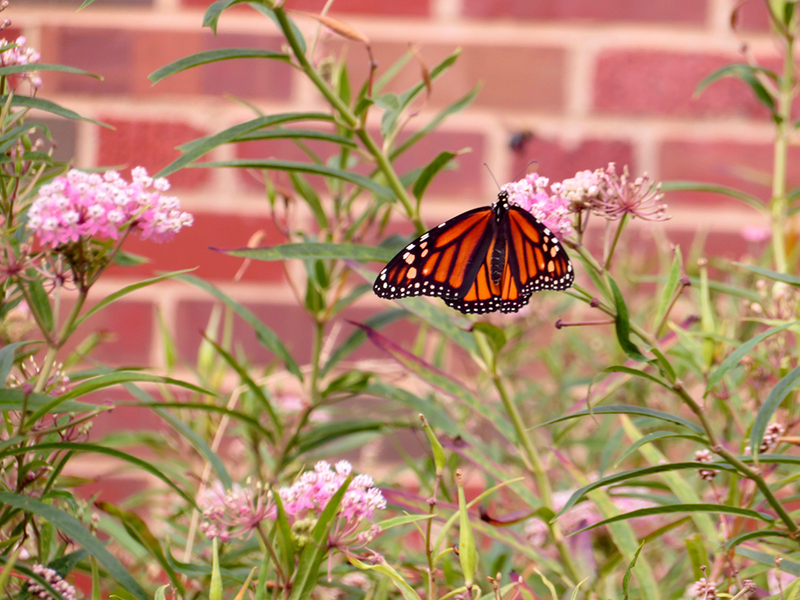 In 2014, students and teachers worked together to create a monarch butterfly garden on the campus of Forsyth School in the city of St. Louis. Fifth grade big friends and junior kindergarten little friends installed 120 milkweed plants, Asclepias incarnata, about one foot apart, to serve as a food source for monarch caterpillars as well as to provide flowers for adult butterflies seeking nectar. 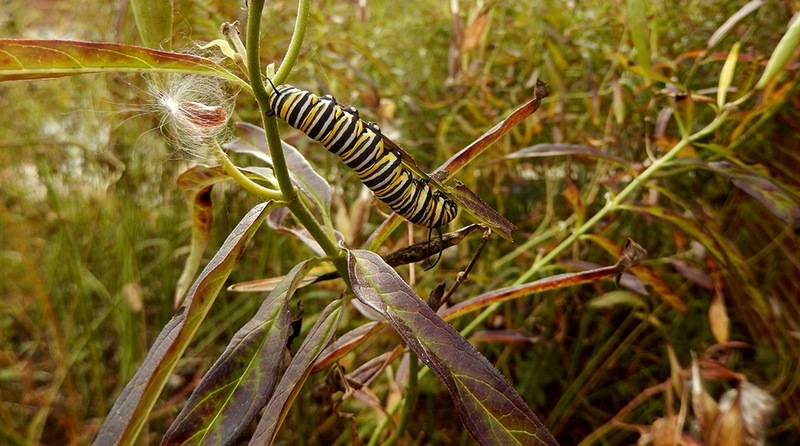 Over the years the milkweed plants have thrived in the garden and have been visited by many monarchs. The students have enjoyed observing these insects during science class and at recess periods over the years. 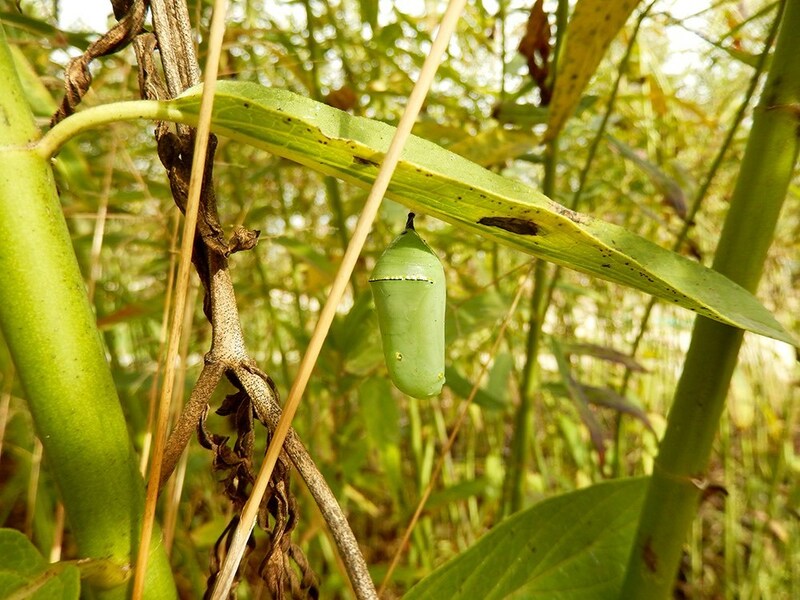 Sometimes, early in the spring, there may be caterpillars all over the milkweed plants and at other times not one can be found. Sometimes someone may discover a chrysalis hanging from a plant or nearby building. The children have watched countless butterflies and other pollinators fly around and/or land on the pink blossoms of the swamp milkweed. The science students also study the life cycle of these incredible creatures and contemplate their long migration to and from the mountains of Mexico. 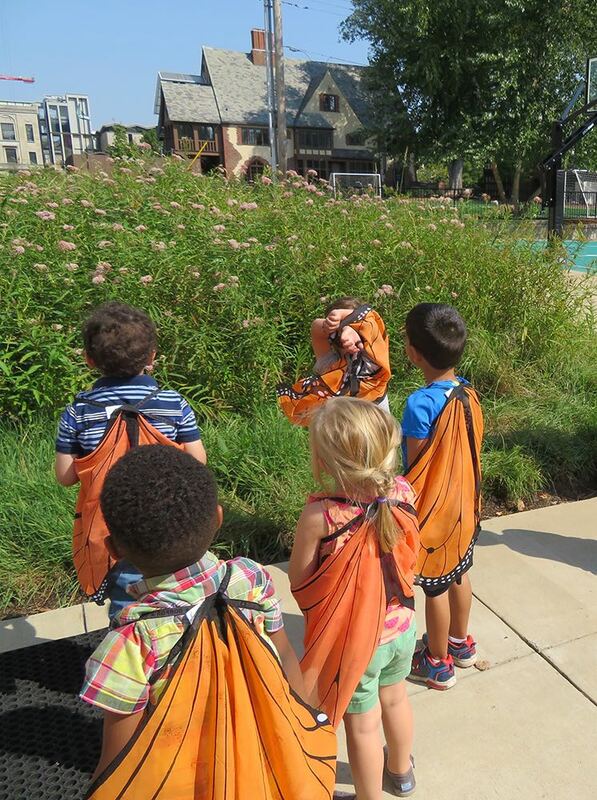 Some of the youngest students adorn monarch wings and pretend to be airborne butterflies. In addition, the kids often collect milkweed pods when studying seed dispersal. They collect seeds to start new gardens and love to release the “parachute” seeds in the wind so that they might find another good place to grow. This garden of native plants not only provides food for the monarchs, but also beauty and sweet smells for the people. The Milkweeds for Monarchs garden at Forsyth School is small but mighty. Everyone looks forward to the new growing season and all the fascination it will bring. 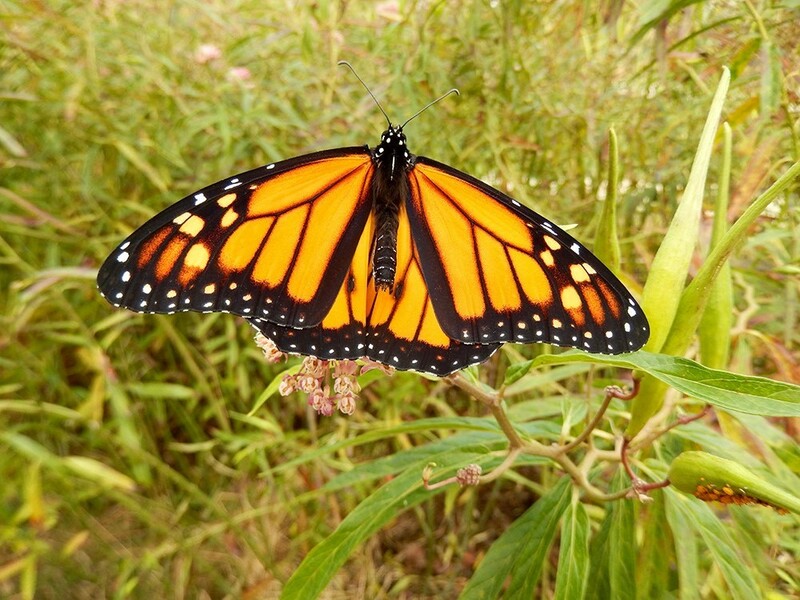 Long live monarch butterflies! -Story contributed by Christine T., Forsyth School science teacher, through Milkweeds for Monarchs: The St. Louis Butterfly Project, a program of the City of St. Louis Mayor's Office.